They say that some of the best ideas were written on cocktail napkins. Why? Because it was the only thing available to write on when their brilliant ideas struck. What will you use to jot down your big idea when inspiration strikes? This 70mm x 100mm white, full-colour sticky note pad is perfect. 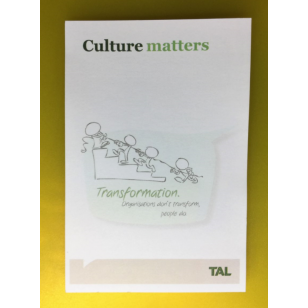 The sticky note pads clean-white paper that can be customized with any full-colour image or wording to make a visual impact. Perfect for promoting that big idea. 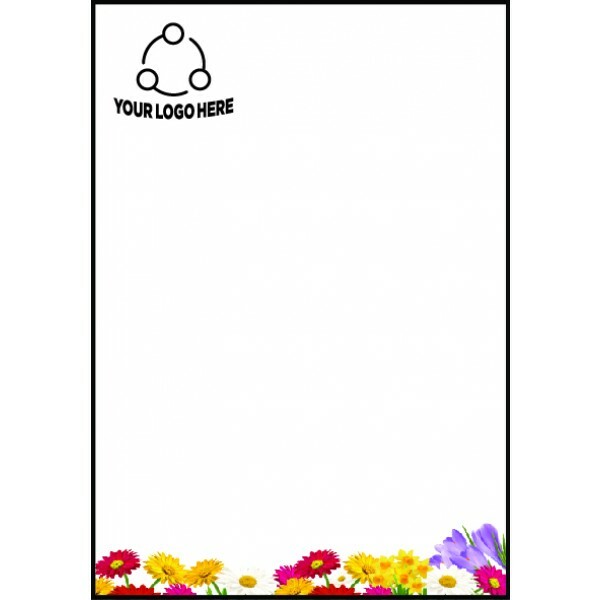 Your company name can be prominently printed on the notepad to serve as the ideal advertisement. It s portable and useful-your customers will love them. And, when your customers have their own big idea, they can simply use this perfect-sized 70 mm x 100 mm sticky note pad to write it down. They will thank you. Be sure to take advantage of the full-colour print customization. It is recommended that the imprint area be no larger than 50% of the page size so that there is maximum writing space for the end-user. The sticky note pad contains 40 sheets of white paper with each individual page adorned with the branding of your choosing. It also contains a backing paper as the last page and an adhesive that can be positioned on any one side of the sticky note pad. Price includes the cost of the full-colour print image or wording, but does not include GST. Printing is done in Australia and product(s) can only be delivered to customers within Australia.